Gluten Free Lemon Blueberry Muffins make the perfect pairing with a cup of coffee on a Spring morning. Not to mention its stellar nutritional profile, low in sugar and full of healthy fats from almond flour. Anyone else feeling like Spring will never come? Over here in Michigan we spring forward our clocks this weekend and I couldn’t be more excited! Well not for the loss of sleep but because we are one step closer to S-P-R-I-N-G! 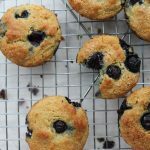 I have been craving all things lemon lately and these gluten free lemon blueberry muffins TAKE THE CAKE! They are made with almond flour which for some of you, might be a new ingredient. I personally love the mouth texture/feel of almond flour and don’t even get me started on how moist they are. 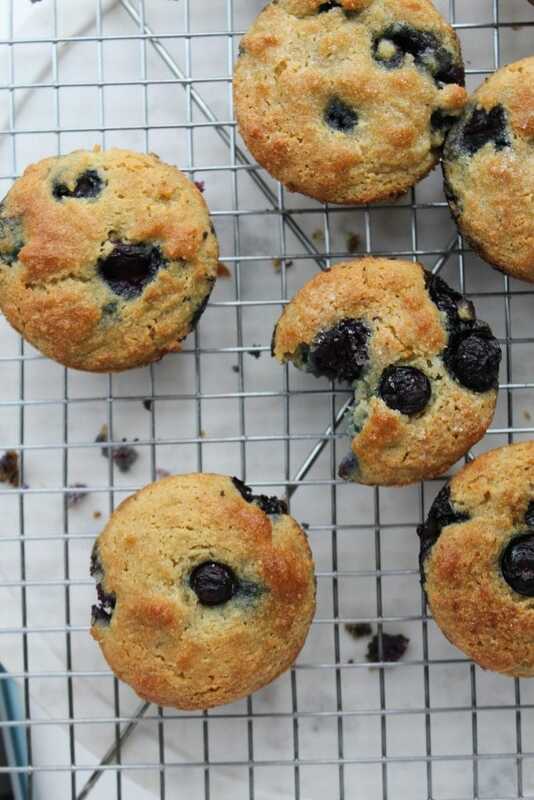 Hope you enjoy these gluten free lemon blueberry muffins ! These delicate lemony blueberry muffins are the perfect accompaniment to a nice cup of coffee on a spring morning. 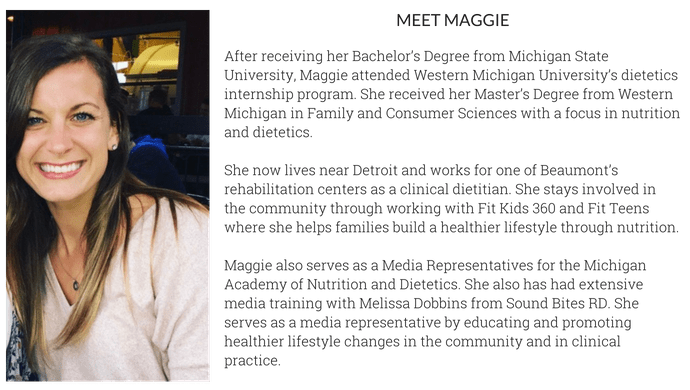 Not to mention a stellar nutrition profile. Beat eggs and add maple syrup, vinegar, vanilla extract and avocado oil to a small bowl. In a large bowl add almond flour, baking soda and salt. Stir to combine. Add wet ingredients to dry and mix until well incorporated. Add in lemon zest and juice. Gently fold in blueberries. Pour ingredients into muffin pan filling about halfway to 3/4 full and sprinkle with sugar if desired. This batter does not do well sitting in fridge overnight. I recommend baking them shortly after mixing. They are best stored in an air tight container at room temperature for about 4-5 days. I tried your recipe for these muffins exactly, however my batter was not able to be poured. It turned out more stiff. It was wet but able to be molded into balls. What could I have added to make it more runny/able to be poured? I was afraid to put too much water in them to thin them out. Also note to anyone trying this recipe: unless you are familiar with Meyer lemon flavor I would not recommend substituting them for a regular lemon in this recipe (has a very pepper like flavor). They would have tasted great if it weren’t for the pepper flavor from the Meyer lemon. Hey Christina! Not sure what went wrong with the stiffness. I always tell people make sure not to pack in almond flour because it is very absorbent. It should be scooped into a cup with a spoon like you would with normal flour. Also I guess the size of lemon you got could factor into how much fluid is in the batter. And thank you for the Meyer lemon tip!